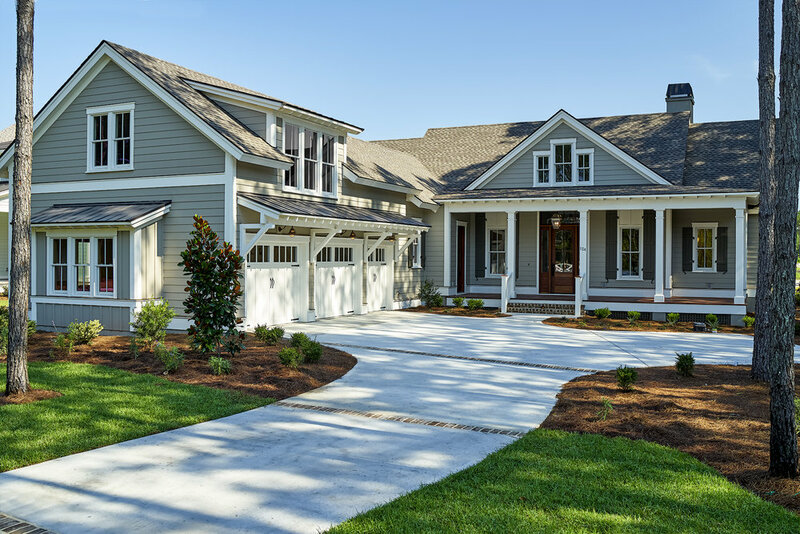 Each Coastal Signature Home becomes the crown jewel of its neighborhood, and all Coastal Signature team members, vendors and craftsmen are unified by one common goal - providing you with an exceptional building experience. Because we take pride in our work, and hold ourselves accountable for what we say, our homeowners are elated with their building experience and compellingly recommend us to everyone they know. Nothing fell short. They met or exceeded our expectations. The overall quality of materials, workmanship and attention to detail were exceptional. Leah and Steve were the keys to our satisfaction. Given we were remote the attention and care they took made this a positive experience. I trust Coastal Signature Homes to follow through on commitments. We have built 3 homes with Steve Tilton and have had such a good experience with each one that we have never even considered hiring a different builder. Steve builds a very high quality home, has impeccable taste that has guided us with the finishes of each home and stands behind his product. His team is organized and detail oriented, which has made the building process fun. We chose Coastal Signature Homes over many other properties because of the quality of construction and attention to detail. Family and friends who have visited have remarked that our home is beautiful and that we were lucky to find this gem. We obviously recommend Coastal Signature Homes. After searching for some time we found a lot in Hampton Lake that we loved. That was the easy part. Then came the tough part, finding a builder to construct the home. We interviewed several companies but none compared to Signature Coastal and Steve Tilton and his team. They were all terrific throughout the eleven month process, responsive to our requests, constructive with ideas and we could not be happier with the finished product which has brought our original vision to life. We would definitely build with Signature Coastal again. How do you build your dream retirement home, i.e. "Downsize" for our needs, yet include everything you want? The CSH team skillfully took a model home plan and modified it to be our home in more ways than one. Unique ideas, quality work, and continuous updates and communication gave us a home which actually exceeded our initial "dream" home image. Attention to detail is evident in every room, including moldings and solid doors. What we most appreciated with Steve is his ability to create uniqueness within our budget. We have a quality beautiful home which is highly functional, within budget, and sized just right! When we purchased a lot in Hampton Lakes we interviewed several builders. Steve and his staff made us feel right at home. The quality and workmanship were no comparison. They made the entire building process easy, and were so helpful with decision making. We couldn't have been happier with the finished product!